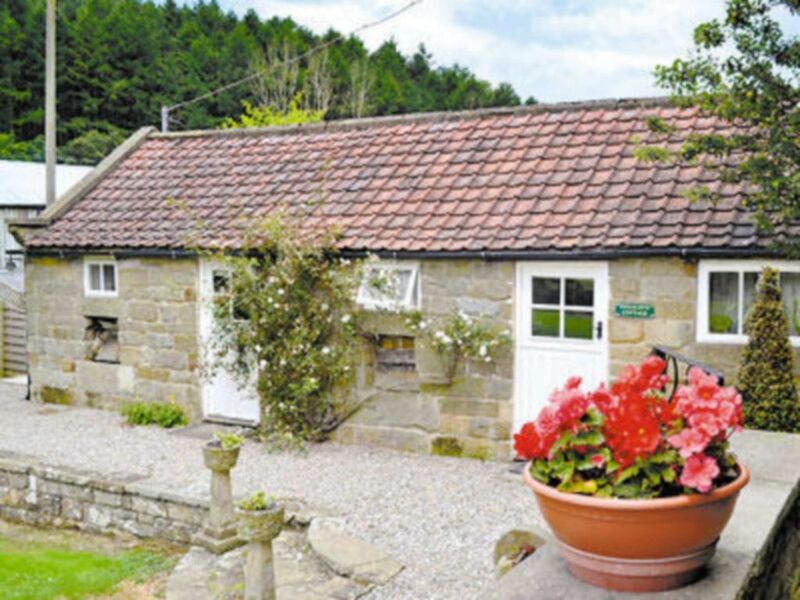 A rural retreat for two, with a shared hot tub, within the North York Moors National Park. Electricity and electric heaters included (£25per week, £15 per short break October-April). Microwave. Laundry service at cost. Parking for 1 car. ADDITIONAL INFORMATION for W43183 only - A laundry service is available.IMPORTANT INFORMATION FOR ALL PROPERTIES at Laskill Grange: Offers Wi-Fi, in the main farmhouse, this facility cannot be guaranteed to be available at all times due to the unpredictability of Service Providers. There is a designated area in the conservatory of the main house which is for guest. All properties are serviced with a private water supply and there is a small lake and river frontage within the gardens. ADDITIONAL CHARGES for all properties at Laskill Grange - There is a fuel supplement from October to the end of March of £25 per week and £15 per short break. This is payable on arrival. ADDITIONAL INFORMATION for all properties at Laskill Grange - There is a shared hot tub and freezer available. Please be aware all properies will only accept dogs and have a no smoking policy in place. Highchair available on request, limited availability, please request on booking form.